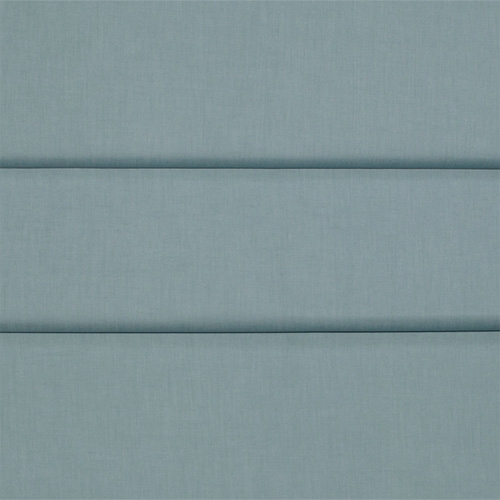 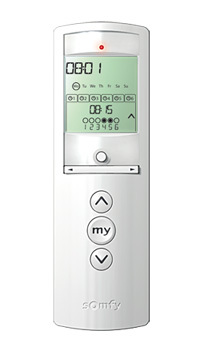 Controliss Asti Verdigris battery powered roman blind: This pale grey blue is subtle and mysterious with a stunning impact for understated elegance. Paired with darker shades of blue, it can create an oasis of peace in your home. 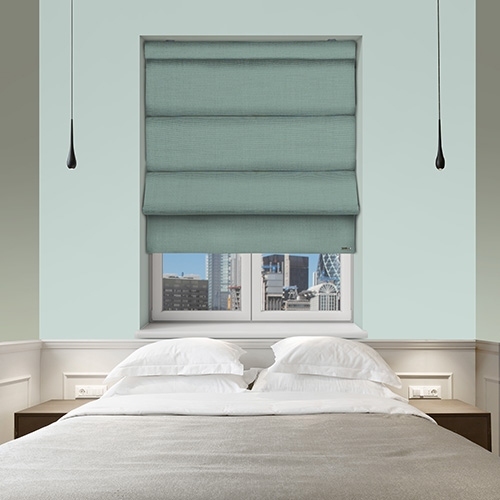 The textured fabric has a reflective sheen that shifts the colour from light to dark as it is raised, while being robust enough to block out sunlight and maintain your privacy.